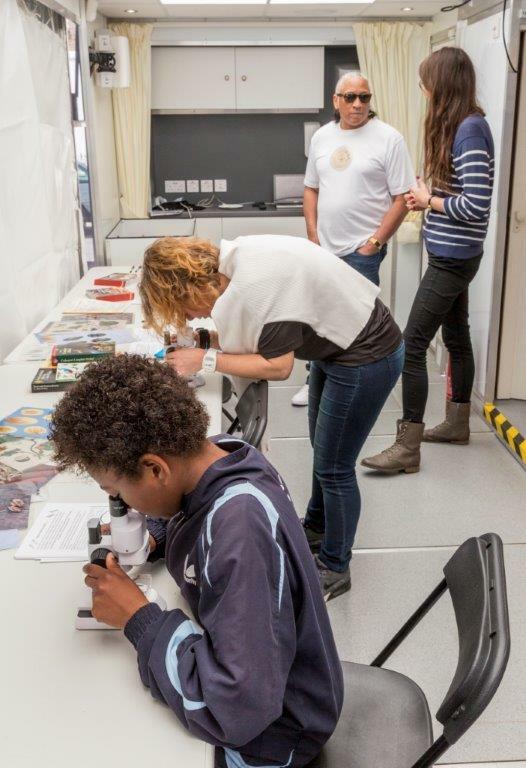 Last Saturday, our Time Truck took part in Second Saturday at the Earls Court Project Rooms, Empress Place. Second Saturdays are delivered by the Earls Court team to engage with local communities and help people understand the work that is taking place. Time Truck Project Officer, Magnus Copps, gives a run-down of the day’s events, accompanied by an image gallery. The Time Truck trundled into Empress Place last Saturday stocked with fascinating displays and fun activities that revealed the history of the local area from new a perspective. Our main display explored four historic maps of Earls Court and West Kensington from 1746 to 1873. Visitors were very fascinated by the large scale images documenting how their neighbourhood has changed over time, from the days when most of the area was fields to the coming of housing development in the 19th century. Visitors particularly enjoyed looking back and forth at different points in time and figuring out when their houses or important local landmarks were built, and what had existed there beforehand. Many were really struck by the that fact that, even as late as 1873, much of the area was still under cultivation for Market Gardens, growing fruit and vegetables to feed the expanding city that around them. This use of the land to feed Londoners in the past was the focus of our children’s activity for the day. 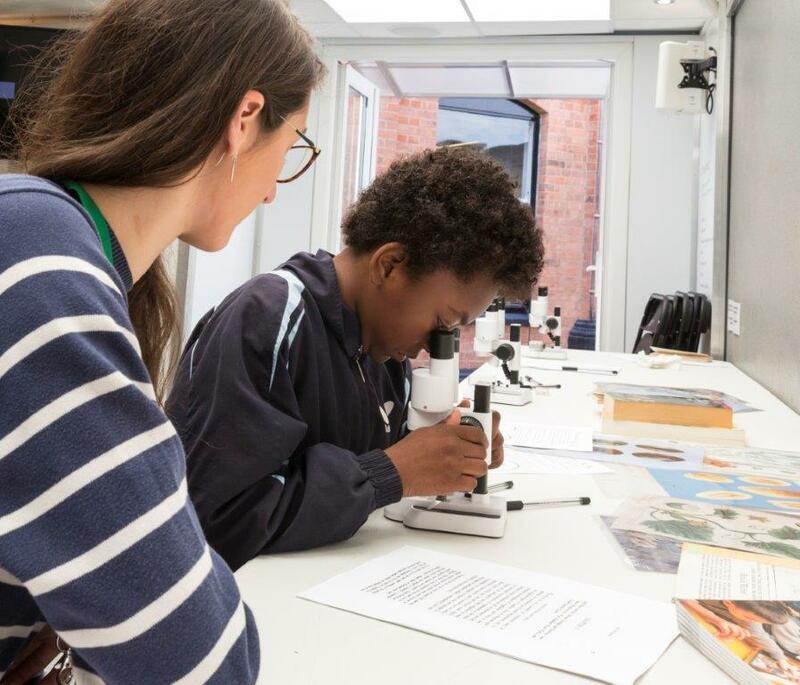 Budding Archaeobotanists used microscopes to identify the seeds of different crops known to have been cultivated at Earls Court in the past, including asparagus, carrot, parsnip and cucumber seeds. We collected a wide range of historical sources, from recipes and diary entries to newspaper adverts, to bring to life how these crops were grown, sold and eaten in the past, and how important the area was to feeding the capital. 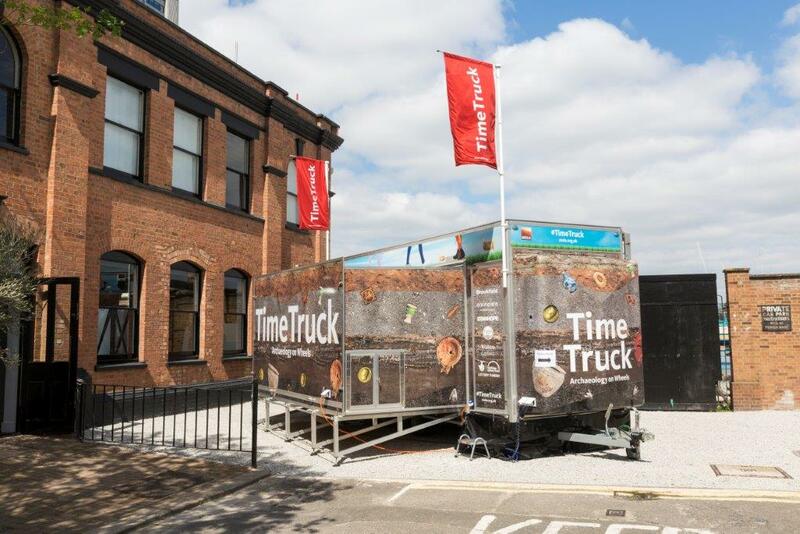 Our Time Truck displays at Earls Court helped people understand the different ways in which the site has met the needs of the area in the past, alongside the changes that are happening now. In the case of Earls Court it has proved so successful that we have been asked back to Second Saturday in 2 months’ time (9 July), so watch this space for more news!